John STONE was born on 17 Feb 1757 in Framingham, Mass.. John married Ann HUNT on 25 Jun 1778 in Sudbury, Mass..
Ann HUNT [Parents] was born on 21 Aug 1760 in Sudbury, Mass.. She died on 20 Oct 1829 in Sudbury, Mass.. Ann married John STONE on 25 Jun 1778 in Sudbury, Mass..
M i William STONE was born on 13 May 1787. He died on 10 Mar 1862. William HUNT was born on 3 Apr 1726 in Sudbury, Mass.. He died on 4 Apr 1802 in Sudbury, Mass.. William married Mary WHEELER on 1 Jan 1749/50 in Sudbury, Mass..
Mary WHEELER [Parents] was born on 1 Feb 1733 in Sudbury, Mass.. Mary married William HUNT on 1 Jan 1749/50 in Sudbury, Mass..
F i Ann HUNT was born on 21 Aug 1760. She died on 20 Oct 1829. Elisha WHEELER [Parents] was born on 1 Feb 1710/1 in Sudbury, Mass.. He died on 17 Jul 1785. Elisha married Mary LORING on 30 Nov 1731. Mary LORING was born on 30 Nov 1731 in Sudbury, Mass.. She died on 22 Jan 1801. Mary married Elisha WHEELER on 30 Nov 1731. F i Mary WHEELER was born on 1 Feb 1733. Uriah WHEELER [Parents] was born on 13 Apr 1648 in Concord. He died on 9 Dec 1753 in Sudbury, Mass.. Uriah married Abigail RICE on 28 Dec 1704 in Watertown. Abigail RICE was born on 27 Nov 1687 in Sudbury, Mass.. She died on 10 Jan 1754 in Sudbury, Mass.. Abigail married Uriah WHEELER on 28 Dec 1704 in Watertown. M i Elisha WHEELER was born on 1 Feb 1710/1. He died on 17 Jul 1785. Obadiah WHEELER was born in Cal 1650 in Concord. Obadiah married Elizabeth WHITE on 17 Jul 1672 in Concord. Elizabeth WHITE [Parents] was born on 4 Jun 1652 in Scituate. Elizabeth married Obadiah WHEELER on 17 Jul 1672 in Concord. M i Uriah WHEELER was born on 13 Apr 1648. He died on 9 Dec 1753. William WHITE. William married Susannah FULLER. Susannah FULLER. Susannah married William WHITE. M i Resolved WHITE was born in c. 1615. Edward WINSLOW. Edward married Judith VASSAL. Judith VASSAL [Parents] was born in 1619 in Middlesex, England. She died on 3 Apr 1670 in Marshfield, MA. She was buried on 3 Apr 1670. Judith married Edward WINSLOW. Berman FRIEND [scrapbook] 1, 2 was born in 1827 in Darmstadt. He died in 1906. Berman married Hannah BRIEDENBACH. Hannah BRIEDENBACH [scrapbook] 1, 2 was born in 1831 in Darmstadt. She died in 1910. Hannah married Berman FRIEND. F i Magdalena (Lena) "Lena" FRIEND was born in 1857. 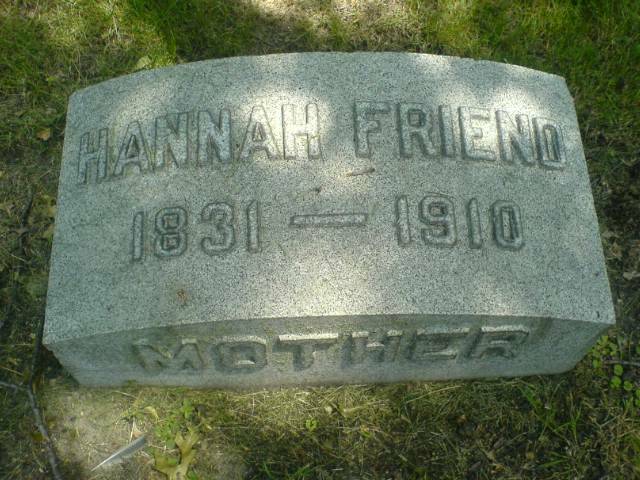 She died in 1920. F ii Nellie FRIEND HECHT was born in 1857. She died in 1948. M iii Max FRIEND was born on 25 Apr 1860. He died on 30 Apr 1939. 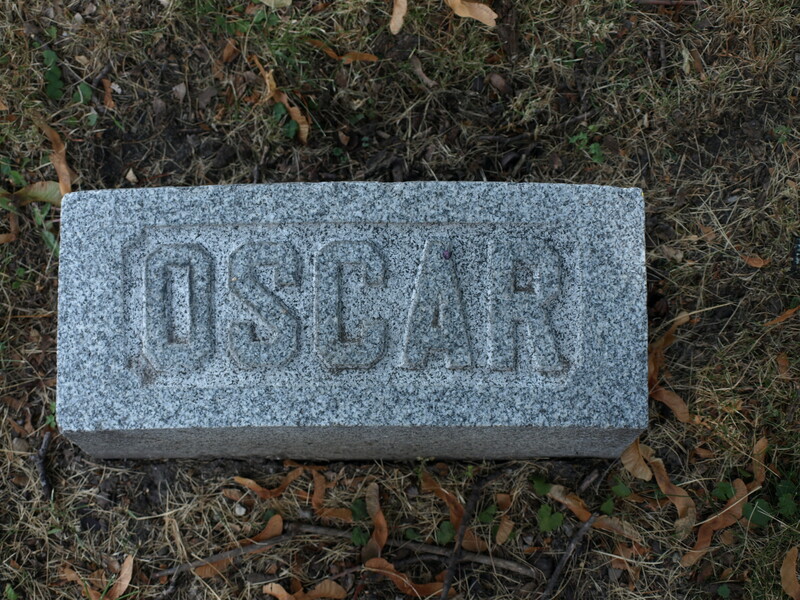 M iv Oscar FRIEND was born on 23 Jan 1864. He died on 18 Jan 1897. M v Emanuel FRIEND was born in 1867. He died on 19 Jul 1938. 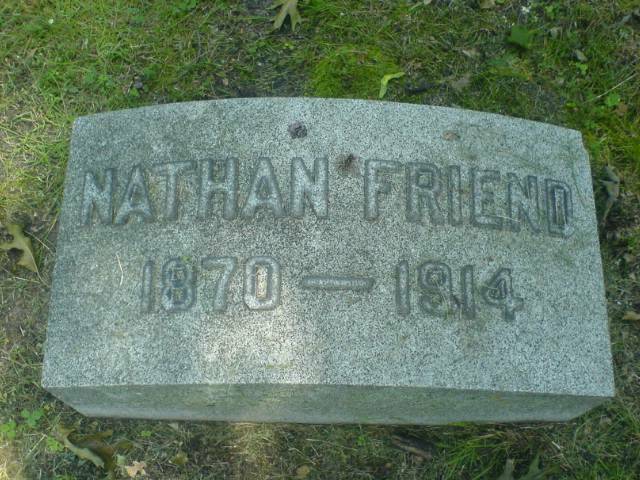 Nathan FRIEND [scrapbook] was born in 1870. He died in 1914. M vii Alexander FRIEND was born in 1872. He died in 1926. M viii Solomon Berman FRIEND was born on 30 Mar 1876. He died on 12 Jul 1941. Oscar FRIEND [Parents] [scrapbook] 1, 2 was born on 23 Jan 1864 in Chicago, Cook, Illinois. He died on 18 Jan 1897. Oscar married Selma FALKER FRIEND. Selma FALKER FRIEND [Parents] [scrapbook] was born on 15 Jan 1855. 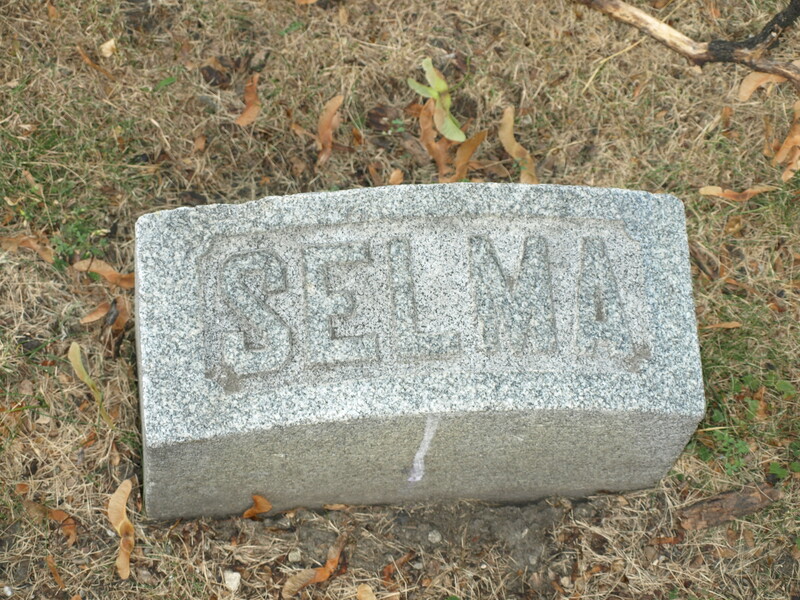 She died on 19 Oct 1897. Selma married Oscar FRIEND. M i Oscar F. FRIEND Jr. was born in Aug 1897. He died on 25 Nov 1945. Sherman Bennet LANS [Parents] [scrapbook] was born on 3 Feb 1922 in Chicago, Cook, Illinois. He died on 12 Jan 1997 in Pasadena, Los Angeles, California. 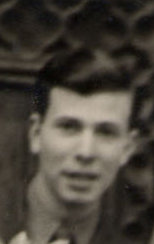 Sherman married Joan Olive SELWOOD about 1945 in St. Mary's Church, Newton, England.